Setchell's main interest lay in the study of algae, and on this subject he became a leading authority. 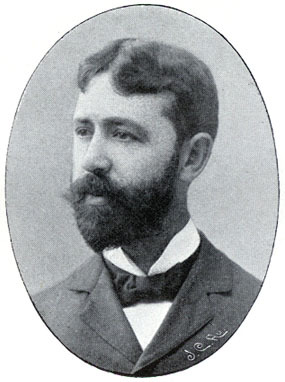 Morphology, systematics, ecology, and biogeography of the group were all investigated in his many publications; among his contributions was elucidating the role of algae in the formation of coral reefs. In biogeography he reveals himself to be a descendant of Humboldtian thinking, especially in his examination of the relation between temperature gradients and distribution patterns (mostly of algae, but also of terrestrial vascular plants). --born in Norwich, Connecticut, on 15 April 1864. --dies at Berkeley, California, on 5 April 1943. --Biographical Memoirs, National Academy of Sciences (U.S.A.), Vol. 23 (1945). --National Cyclopaedia of American Biography, Vol. 32 (1945). --American Midland Naturalist, Vol. 30(3) (1943): 529-532. --Prominent Phycologists of the 20th Century (1996): 102-114.